Thank you for visiting our website. 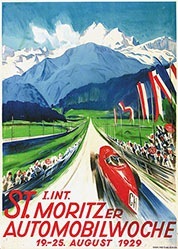 The Swiss Poster Museum collects Swiss posters from the heydays of lithography. 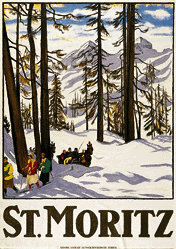 The oldest poster of the collection dates from 1875, and the majority of the posters in the collection dates from the first half of the last century. 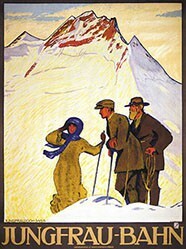 Posters which were printed after lithography as printing technique was abandoned are collected only occasionally. 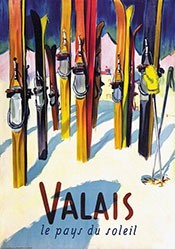 Thematically, the collection focuses on Swiss original posters from the fields of tourism and transport. 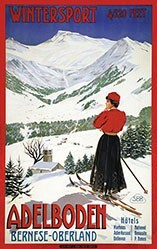 The underlying concept of the collection is to gather the most important posters of Swiss Tourism. 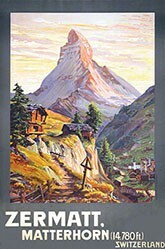 Besides tourism posters of Switzerland, the collection also includes posters of the neighboring countries. 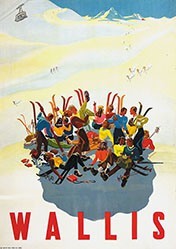 The collection also includes some interesting posters from other areas (sports events, exhibition posters, product posters, etc.). The collection is constantly being expanded through purchases, donations and swaps. 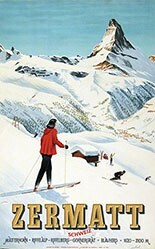 It also serve those interested in the poster as a reference guide and information base. 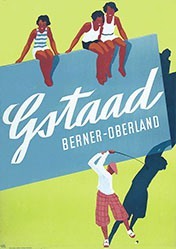 The collection thus contributes to the promotion of the Swiss poster. The collection is currently being recorded step-wise in the database and therefore is gradually published on this website. Under the above listed menu point "Collection" you can consult all posters already recorded. 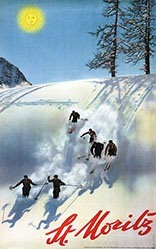 In the "Museum Shop" you have the opportunity to order original posters. We are very interested in any contact, opinion or comment. Please do not hesitate to email or call us.